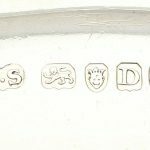 Here at AC Silver, we feel incredibly fortunate to be able to offer our customers a range of rare and exceptional silver and gold ecclesiastical items. 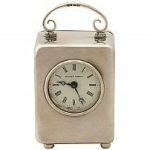 Whether these appeal as items of Religious significance or as collectable objects d’art in their own right, the history and importance of these spectacular pieces is fascinating. A ciborium is defined as a large covered cup – such as a chalice or goblet – which features a cover, usually surmounted by a cross. 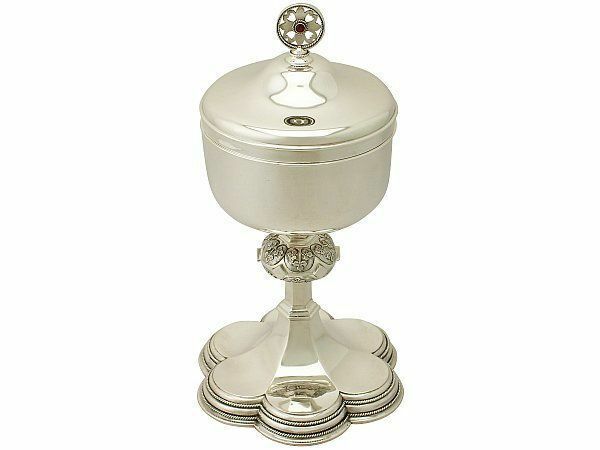 A ciborium is used in the Roman Catholic, Anglican, Lutheran, and related churches to contain and distribute the hosts for the sacrament of the Holy Communion. 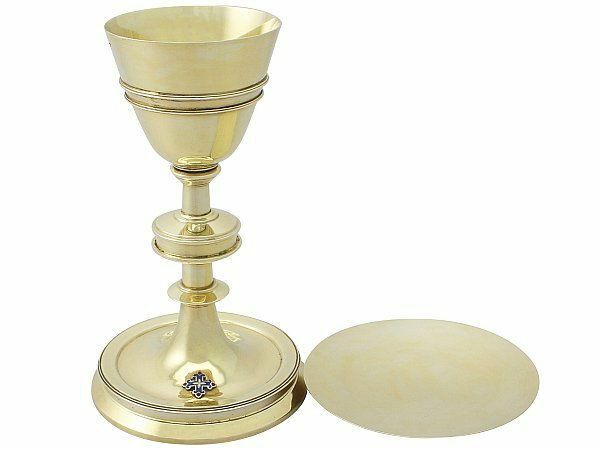 The shape of the ciborium is one which is slightly different to that of a chalice, with the bowl element of the ciborium being more rotund, rather than conical. This difference is evident in the two wonderful examples which we are able to offer our customers. 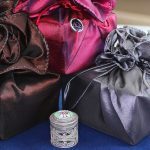 The materials which the ciborium can be created with should be the precious metals of either gold or silver, although base metals are sometimes used where this is not possible. However, the inside of the cup portion of the ciborium should always be lined with gold, as it is this which comes directly into contact with the Sacred Host. 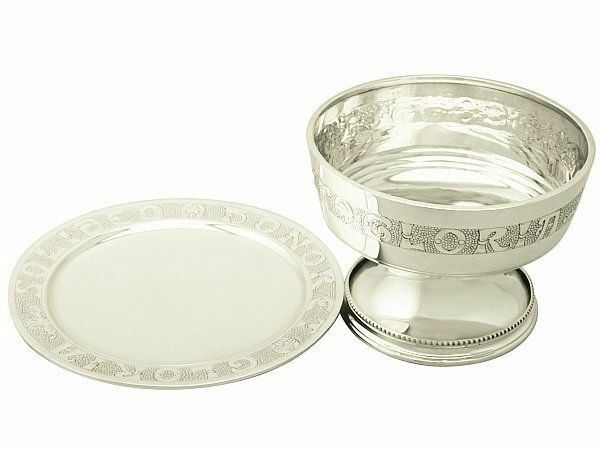 The base of the cup of the ciborium is raised, so as to facilitate the proper cleaning and purifying of the ciborium after the Holy Communion has taken place. Ciboria are sometimes covered in a veil, which is to indicate the presence of the sacred host inside. This cloth is required to be made of silk or in the colour gold, and, along with the ciborium itself, should not be handled by lay people unless specifically authorised. The ciborium is blessed, either by a bishop – or if he is not available or able to perform the service – a representative priest who is deputised to him. Once the ciborium is empty and cleansed, and therefore contains no more of the holy sacrament, all members of the clergy are able to touch it. The exact origins of the name of the ciborium are not clear, however one possible source is the Latin word ‘cibus’ –meaning ‘food’- since the ciborium would contain the heavenly bread representing the body of Christ. 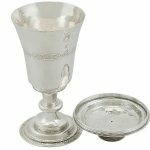 At one time, the word ‘ciborium’ referred to a specific shape of cup which was used in Ancient Greece and Rome, and was referred to in one of the scholar and philosopher Horace’s Odes. In Medieval Christianity the term ciborium also referred to a canopy over the altar, which is no longer a common feature of architecture within the Church. At one time, Ciboria were kept in homes, so as to be easily accessible when the last rites were read. Early death and illness were far more common in the centuries proceeding antibiotics and modern medicine, so this process would be more frequent in any family than it is today. Ciboria are now kept in churches, within a tabernacle, which is both protective physically and figuratively. A tabernacle is any space or vessel which provides sanctuary for religious items or worshippers, and within the medieval church these were much more common and necessary. Ciboria were once kept in residential homes, for fear of being desecrated or stolen. 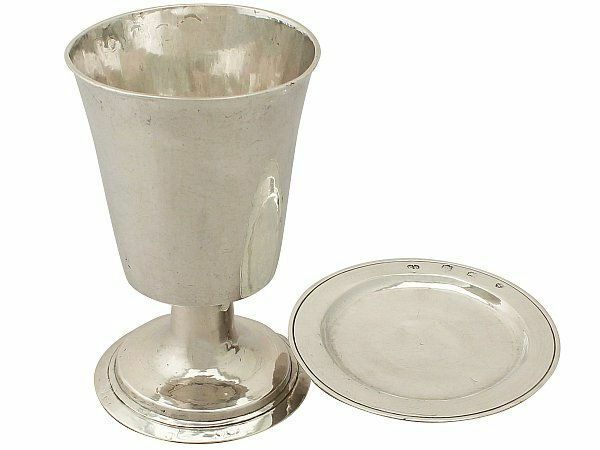 Within eastern Churches, Ciboria are not used; instead a Communion Chalice and Paten are used to perform the Holy Communion, with the Paten distributing the Communion, while the Sacrament is contained in a Pyx. 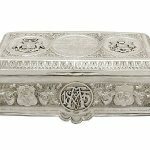 These exceptional examples of antique and vintage ecclesiastical silverware are at once revered and admired for their craftsmanship, as often those who were commissioned to create such pieces were the finest makers of their time and locality. We hope that we have been able to shed a little more light on the ciborium and its importance within the church and in Christian history and ceremony. Previous Entry: What is a Creamer Jug? Next Entry: Why is Snake Jewellery So Charming?